Win a Bike Attendance Challenge! Here at Greave we want to recognise the importance of attendance and punctuality and we are always looking at ways to reward the efforts of pupils and their families. 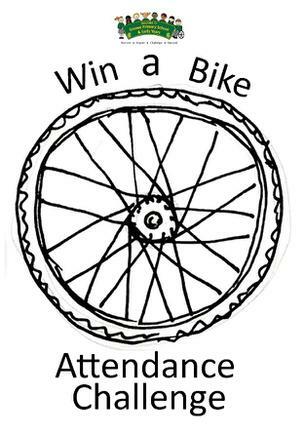 Following the success of last years "Win a Bike Attendance Challenge" we will be repeating the attendance initiative again this academic year. From September 2018 every pupil with 100% attendance at the end of each week will be entered into a draw. The main prize draw takes place at the end of the school year and the winner will receive vouchers to purchase a brand new bike.